Matt, Crystal and Billie. Matt and Crystal met on a blind date in June of 2006. 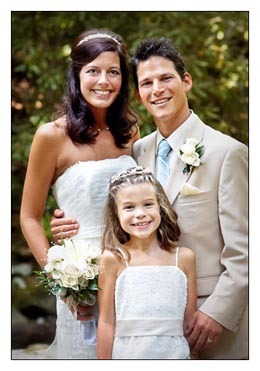 It was love at first site for both of them, and they were married in August of 2007. Billie is the "big sister" to Joshua and Caleb. She is 7 years old, and going into the 2nd grade. She plays soccer, dances ballet and tap, plays piano and is a joy to the entire family. We are very blessed to have each other, and we are so thankful to God for creating our beautiful family.